Universal Love Foundation was formed in May 2000 to assist and empower single parents who find themselves in seemingly hopeless situations. During this time the foundation has assisted single parents by providing scholarships, legal referrals for collection of child support and alimony, group therapy and counseling referrals, low cost or free medical referrals as well as temporary financial support. The past years have been a journey for Universal Love Foundation. It has been a journey of growth and understanding of the needs of our community. During this time we have established an affiliation with Children’s Hospital Los Angeles Chase Child Life Program. The Chase Child Life Program provides emotional support to parents with hospitalized children. This has led us on our current path to help children and their families with the loss of a loved one. Loss is a part of the human experience that affects all of us at some point in our lives. The loss could be the death of a parent or primary caregiver or a sibling. Dealing with a loss of a loved one is difficult at any age but loss, at an early age it could have a negative life changing effect if not dealt with properly. The ULF House of Hope, Loss and Grief Center, will provide a safe environment for children and families to embrace the grief and begin the healing process. We are confident that the need for the Center exists and we are ready to fill the vacuum. The ULF House of Hope, Loss and Grief Center, will be a free counseling clinic available to children from toddler to adolescent and their families. Although our program’s primary purpose is to help children, we know that children live within a family. Therefore our program will allow caregivers to receive grief therapy as well. Children will be grouped in peer groups: toddler group, 5-12 years old group and the adolescent group. 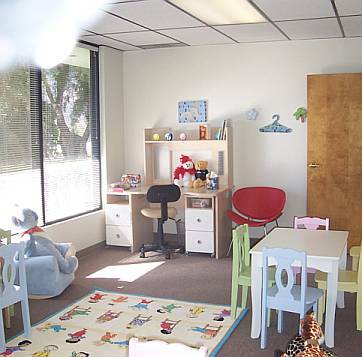 The center will provide an environment where children can talk freely about their loss with others who understand. Each group will be led by a trained facilitator. © Copyright Universal Love Foundation 2008. All Rights Reserved.